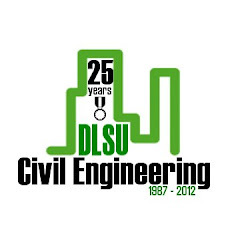 The Gokongwei College of Engineering - DLSU, Manila will offer the PhD in Civil Engineering starting 1st term SY2012-2013. Apply now. The PhD in Civil Engineering aims to train professional civil engineers who can contribute solutions to specialized problems in civil engineering especially related to contemporary issues on sustainability and disaster risk reduction The PhD program has two integrative courses, namely: (1) Sustainable Infrastructure for the Natural and Built Environment, and (2) Natural Disaster Risk Reduction and Management, under five fields of specialization, namely (1) Construction Technology and Management, (2) Geotechnical Engineering, (3) Structural Engineering, (4) Transportation Planning and Engineering, and (5) Hydraulics and Water Resources Engineering. 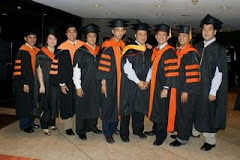 Upon admission, the PhD student will be assigned and adviser and has to choose his/her field of specialization and the integrative course that he/she will have to pursue. Furthermore, his/her dissertation topic will dictate all these choices. 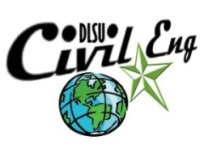 Full time PhD students with MS in Civil Engineering (thesis option) will only need 18 academic units of specialization, integrative, philosophy, and seminar courses plus 12 units of dissertation to finish the degree in three years. For those with Master of Engineering (non-thesis option), a supervised research work (directed research) is required for two terms equivalent to 6 units of graduate enrolment before being accepted in the PhD program. Requirements for enrolment: Submit your application documents NOW!